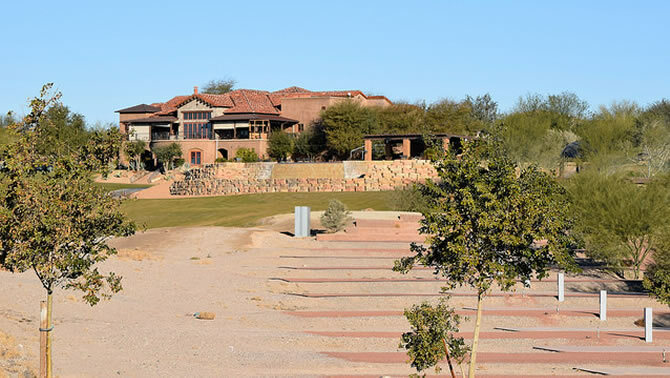 An on-going litigation case pits the owners versus the Home Owners Association at this Arizona golf course. Lake Havasu, Arizona, is a wonderful snowbird destination, especially for those who like to combine RVing with golfing. The word "Havasu" means "blue water" and certainly describes the blue water of the lake which contrasts with the surrounding dry Sonoran Desert. It would seem that Havasu would be a natural location for combining RVing and golfing. But of the four golf courses in the city, only the Refuge Golf and Country Club has tried to mix the two, and has not had much success. 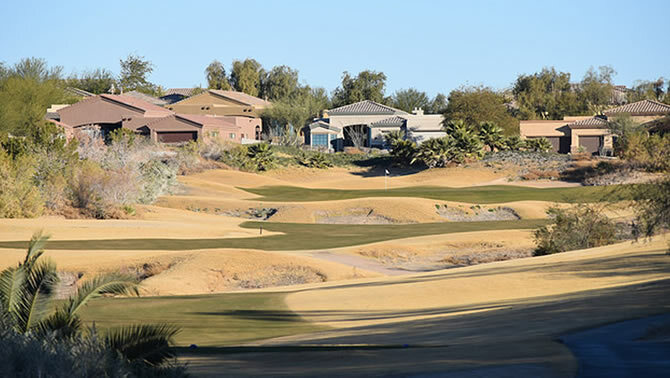 Refuge Golf Course was opened in 2003 with the idea of selling 350 custom homes built around the course. Combining golf courses with residential lots was a common pattern of real estate development at that time. With the economic recession of 2008, the banks assumed ownership of the golf course. When Cindy and Jerry Aldridge came along, they purchased the property in 2009 with the plan to spend $25 million over five years to upgrade the course and facilities. All seemed to go well until the Aldridges announced the "Motorcoach Project" in 2011. Their proposal was to build an exclusive RV park on the property, along with three pools, a fitness centre and event tent entertainment centre. The park would include 300 luxury RV sites located near the entrance where holes 2 and 4 were originally located. 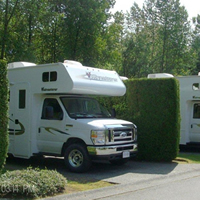 As for the RV park, it was very exclusive, reserved for only Class A motorhomes or Super C motorhomes that were over 30 feet and under 15 years of age. The sites were very large, up to 85’x 40’, with every possible amenity, including the usage of a golf cart at each site. The idea for the park was to attract golfers who would attract more RVers who were golfers. In the first year, the plan seemed to work well, but problems loomed. When the golf course was originally designed, the golf architectural firm was the Arnold Palmer Company. The Refuge was to be a championship PGA resort course, being 7,083 yards from the back tees, with a slope of 125 and a CR of 70.4. It was built overlooking Lake Havasu and the Colorado River with the mountains of California as a back drop. Having played this high-end course, it was enjoyable as well as challenging, especially on the back nine with its rolling terrain. With the announcement of the Motorcoach Project, the course was shortened by 853 yards from the back tees, and now included four Par 3s on the front nine, three Par 3s on the back nine and only one Par 5. The result was that Arnold Palmer removed his name from the course. Opposing the future plans for Refuge, the homeowners decided in 2013 that the courts should settle the entire issue. The two sides were the City Center Executive Plaza, LLC [Cindy and Jerry Aldridge] and the Refuge Community Landowners Association [Home Owners Association]. Cindy and Jerry Aldridge [Defendants] based their case on the fact they had the right to develop their private property and were following good business practices. The HOA [Plaintiff] had numerous objections to both the RV park and the future plans which contravened the original CC&R or Covenant Rules. Their objections included environmental concerns, breach of contract, nuisance [noise and crime] as well as a significant decrease in property values [homes] following the proposed changes. The homeowners asserted that they had originally bought into a gated golf course community, not an RV park. The Arizona court ruled largely in favour of the Plaintiff [the HOA]. Of the 22 subjects, the HOA won 15 verdicts, but only received an award of $1 which was nowhere near the $16 million in damages that they requested. The court ruled that the RV park was not considered to be a golf club facility and therefore the Aldridges had violated the Covenant Rules. The court stopped short of ordering that the golf course be returned to the original Arnold Palmer design, or that the RV park and other facilities be removed. As of December 2015, the case is still before the Arizona Appellate Court/Court of Appeal. 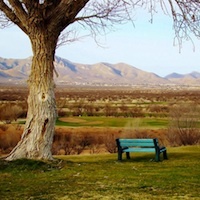 Refuge Golf and Country Club remains a private course but open to the public, while the RV park remains vacant. 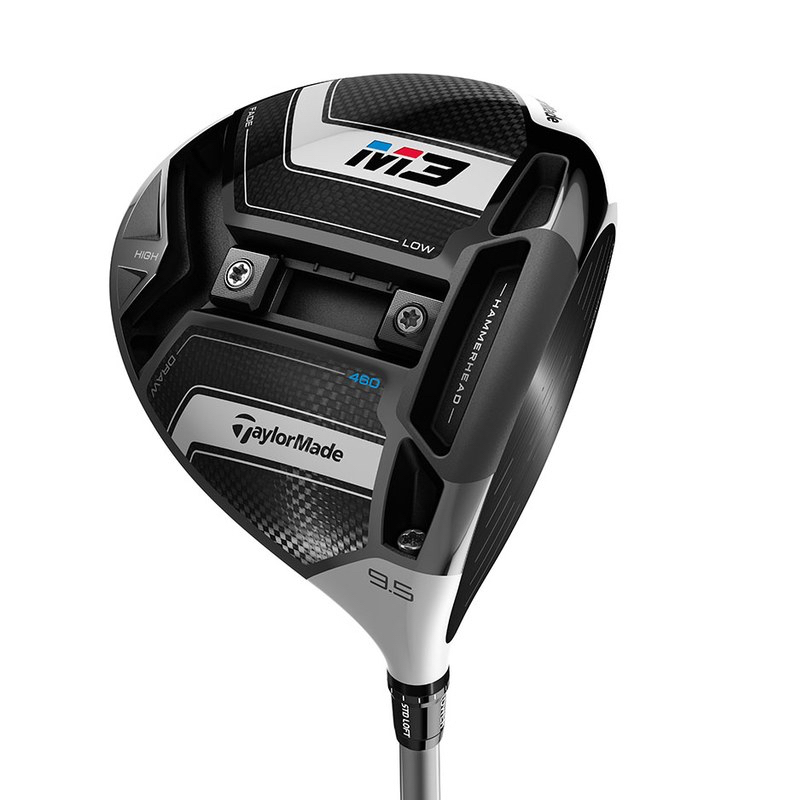 For 2018, Taylor Made has introduced its latest innovation, The Twist Club Face.